Reo Stevens 20 years on! Great to see Reo Stevens splashing the front cover of Kiteworld Magazine once again, with nearly 20 years passing from when he first caught the kiting world's attention. Riding the Reo V5 in the stunning waters of Tuamotu, French Polynesia while hosting his latest kitesurfing coaching adventure. 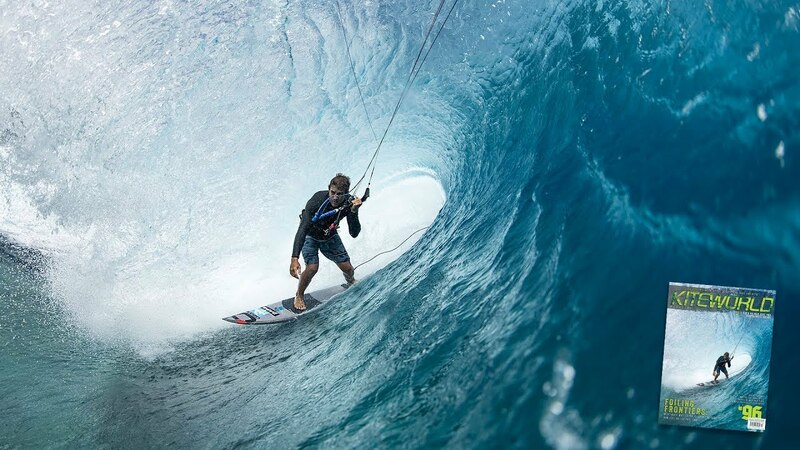 Reo is undisputedly one of the most recognizable faces in the kitesurfing world. A native to Hawaii, Reo has been involved with the sport at a professional level since the birth of Kitesurfing, appearing on many a magazine cover since the early days. Over the course of his career he has mastered nearly every discipline that kiting has progressed through. Reo’s done it all and humbly shares his talent and passion through his successful coaching business. Interested in joinging this magical experience? Surf, kite, SUP, dive and sail your way through one of the most beautiful and untouched tropical paradises in the world – The Tuamotu Archipelago located in French Polynesia. 2019 marks the 3rd year of the Tuamotu kiteboarding Adventure. Click here to check out the details. Reo V5 Libertad en las Olas Desde su introducción hace seis años, la Reo ha sido la referencia para navegar en olas, por su rendimiento y sensación.